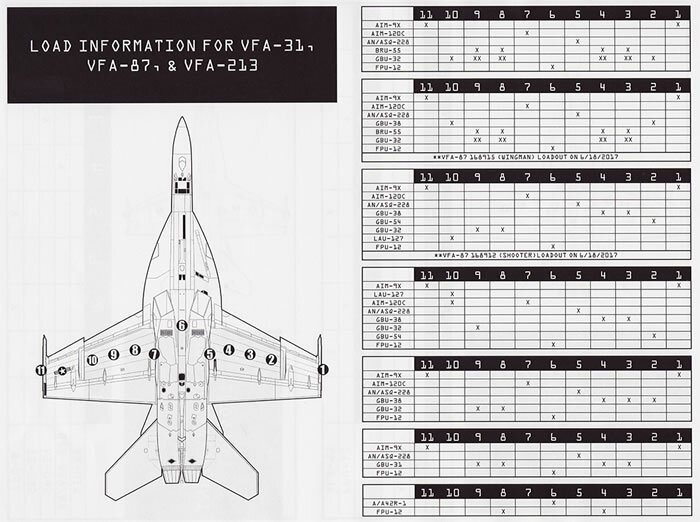 "Team Factory: CVW-8 at War"
Furball Aero Design Item No. 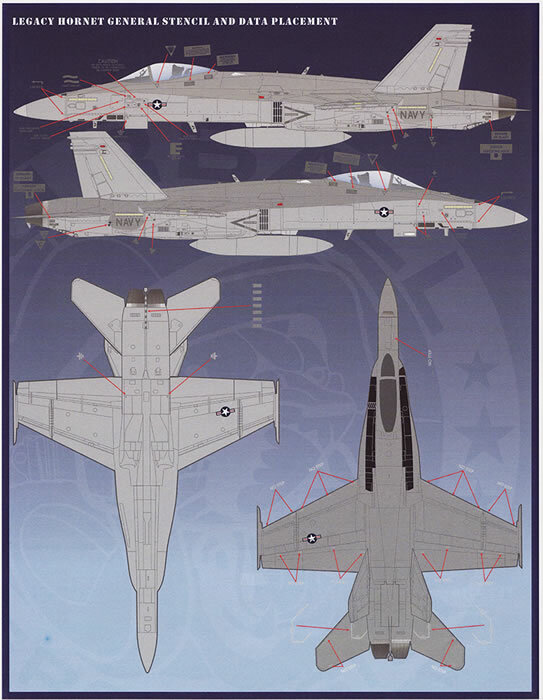 72-007 – F/A-18C/E/F; EA-18G "Team Factory: CVW-8 at War"
A big choice of aircraft, in perfect register and printed by Cartograf, clear instructions. 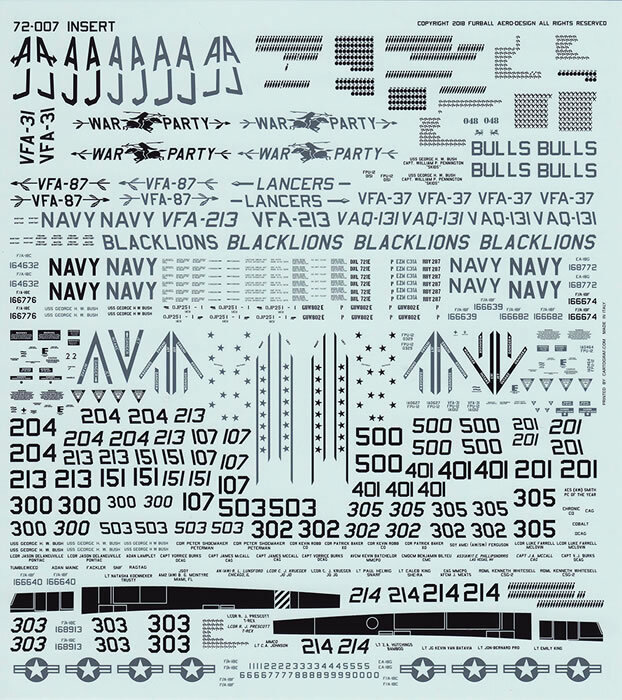 Need to build so many models to use these decal options!!!! 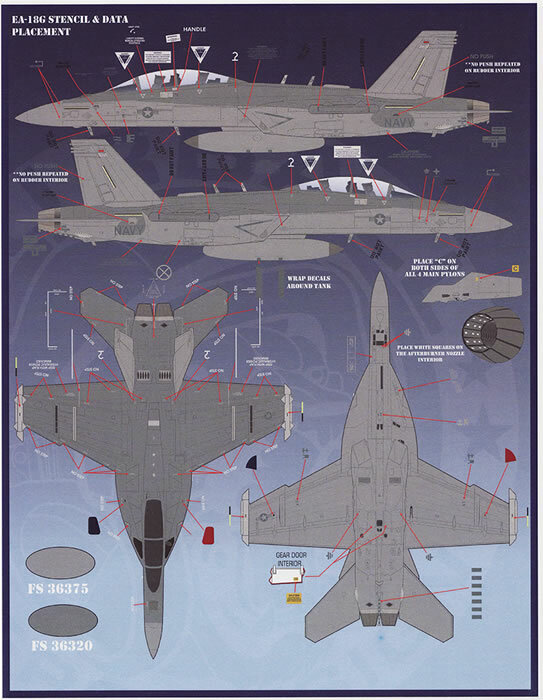 A most comprehensive decal set, well printed with copious instructions. 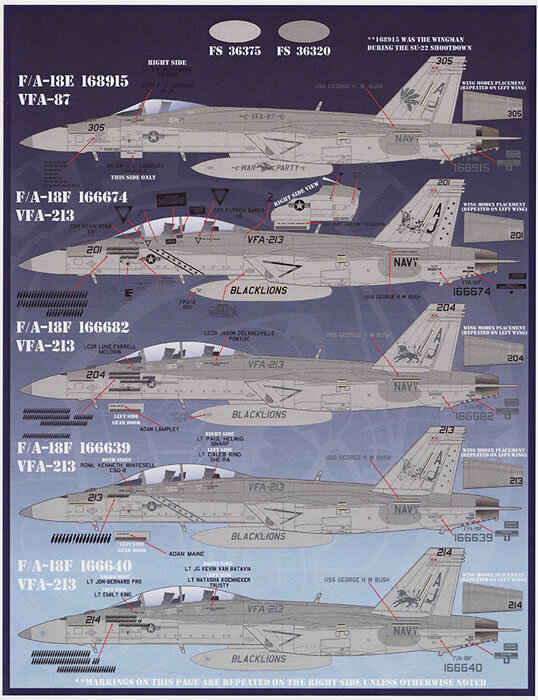 This set covers aircraft of every current F-18 version. 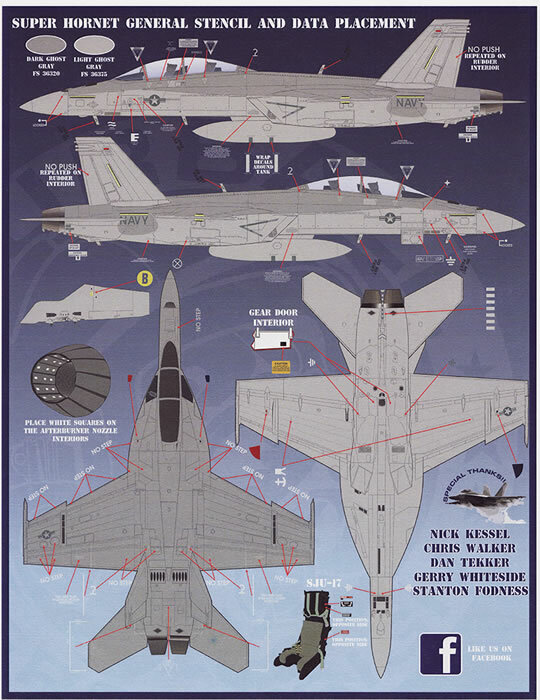 A great set for the US Carrier aviation enthusiast. This set covers CVW-8’s Hornets, Super Hornets, and Growlers from their 2017 cruise in support of Operation Inherent Resolve aboard the USS George H.W.Bush (CVN-77) in July 2017. Operation Inherent Resolve is the US military’s operational name for the military intervention against the Islamic State of Iraq and Syria. 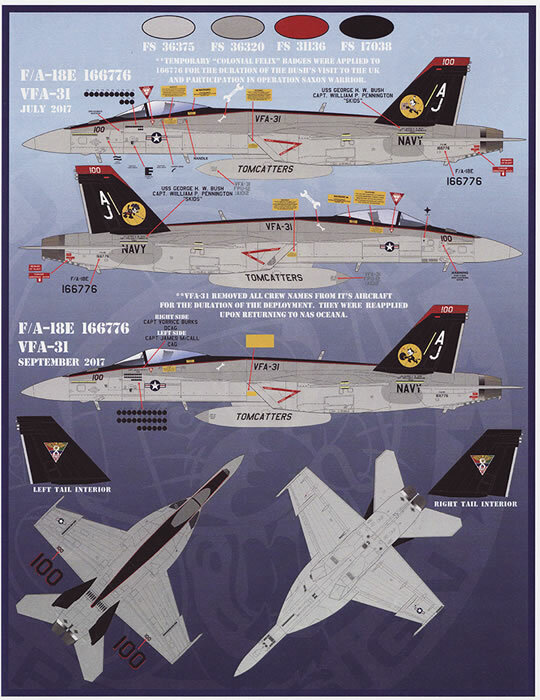 The USS George H.W.Bush operated Carrier Wing 8, with the majority of the aircraft being F-18’s of various versions. 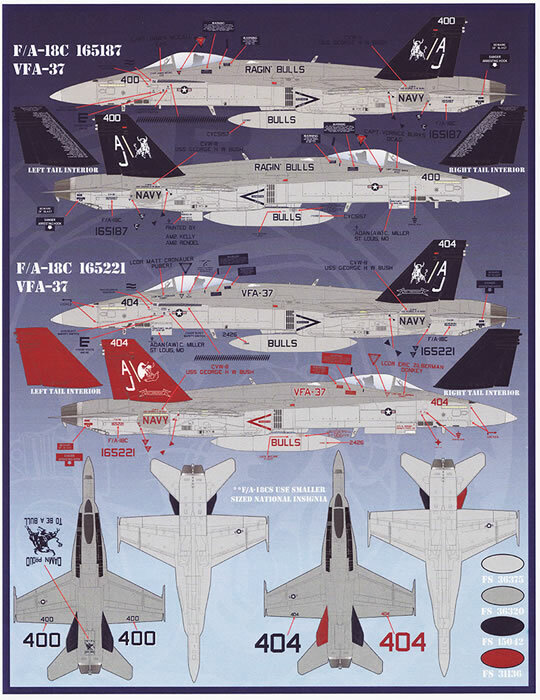 This decal set is a comprehensive offering with 18 different aircraft depicted. 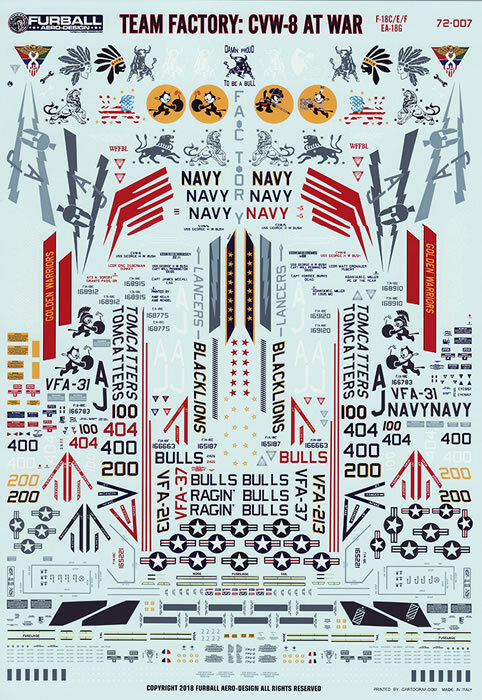 There are also sufficient stencil and data decals are included to build 4 complete models. 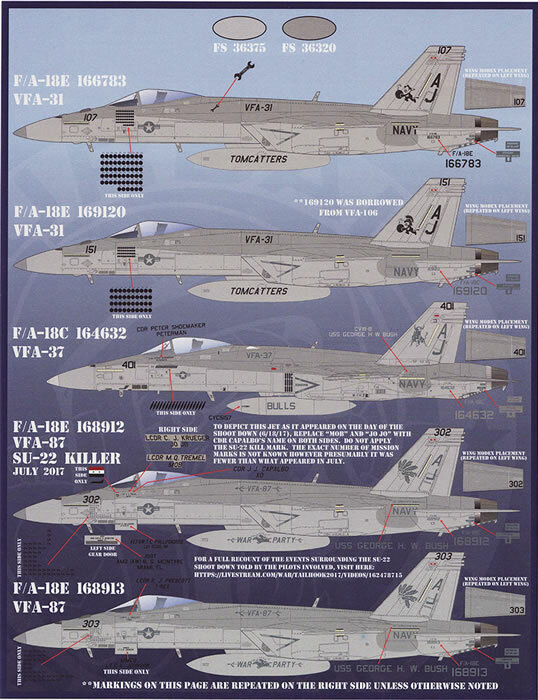 Options are included to build 5 F/A-18Fs, 8 F/A-18Es, 3 F/A-18Cs, & 2 EA-18Gs. Many of these aircraft have high-vis tail schemes as well as some interesting nose art and mission markings. All of these aircraft are provided as coloured profiles in the normal Furball thorough manner. 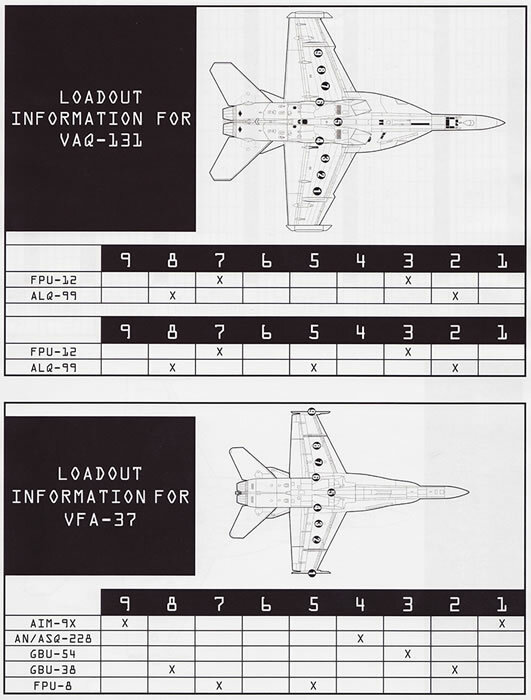 Also included, is a very useful load out chart so you may accurately match you ordinance to each units mission profiles. 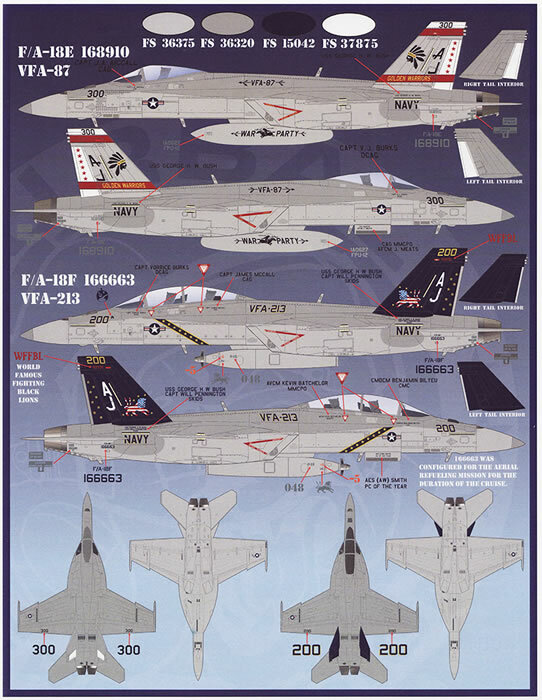 This high quality set supply’s a great range of F-18 decals for the Carrier Wing 8 aircraft. 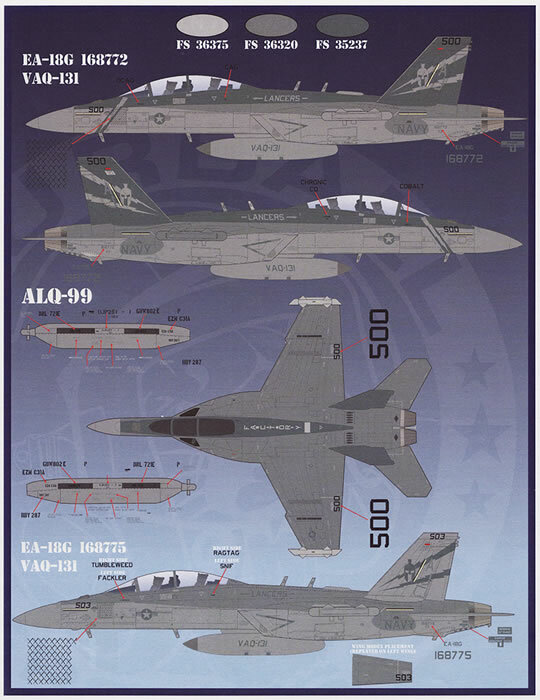 Just this set would keep a US carrier aviation modeller going for a long time. 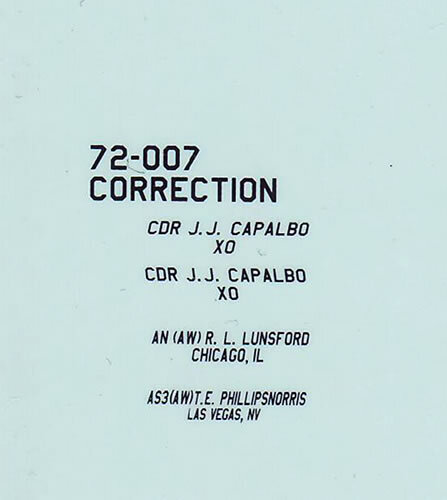 If modelling time was unlimited, I would certainly be tempted to build a number of these schemes. This set is highly recommended. Thanks to Furball Aero-Design for the sample.